A complete edition of one of installments in the popular first-person shooter series from DICE that was originally released in 2016. This time the player arrives at the battlefields of World War I as one of soldiers fighting in that great conflict. Gameplay in Battlefield 1: Revolution is a bit different from several previous games, bringing back larger, more open maps and the freedom known from the first entries in the series. Players can take up the challenges featured in the single player campaign or compete against one another in multiplayer for up to 64 people. The new setting translates not only to new weapons but also a new play style, with increased significance of melee combat. 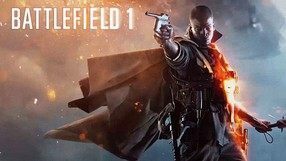 Besides, Battlefield 1: Revolution edition offers a handful of extra content as well as the Premium Pass, which grants access to all post-launch DLC packs that include new maps and weapons. 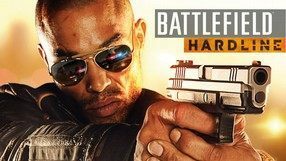 Another full-fledged installment in one of the most popular series of war shooters played from the first-person view and developed since 2002, as the effect of cooperation between Electronic Arts and DICE. With its flamboyant title, Battlefield 1 introduces the series to the realities of the First World War. The story campaign depicts this global conflict through the eyes of several independent characters, who participate in twentieth-century's first modern military conflict. When it comes to the gameplay itself, the game reaches back to the roots of the franchise, offering larger, open maps and giving a great deal of freedom when it comes to approaching different objectives. Simultaneously, the single-player mechanics were significantly modified, in order for these to resemble the specifics of the multiplayer mode, which allows even up to 64 players to meet in one session. The new time period does not bring only the adequate weaponry and vehicles (planes, tanks, warships), but also makes it necessary to apply a different approach to combat - for instance, battles have become more brutal and a greater emphasis was placed on melee combat. Fourth main entry in the bestselling FPS series created and developed by the EA DICE team. The solo campaign shows a vision of military conflict between the United States, Soviet Union, and China. The story takes place in 2020 on the territory of the People’s Republic of China. Player takes on the role of a member of the US Marine Tombstone Squad, which is given the task of rescuing several high-ranked officials from the unsettled Shanghai. The strongest point of the game are its complex multiplayer skirmishes, allowing us to take part in online battles for up to 64 players. Developers made sure to offer a wide selection of game modes and maps with varied terrain and sizes. The third core installment in a popular first person shooter series. 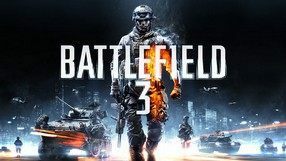 Battlefield 3 was developed by Swedish studio DICE, an Electronic Arts subsidiary. The game is set during a modern-day conflict and the events are presented in the form of flashbacks as remembered by Henry Blackburn, an American soldier who tries to stop Islamic terrorists from detonating a nuke. The game features three playable characters, as well as various weapons and vehicles. Single player campaign consists of several missions, serving a complimentary role to the expansive online multiplayer mode, in accordance with the series’ long-standing tradition. Technically, Battlefield 3 is powered by Frostbite 2 engine, featuring high quality audiovisuals and realistic physics. A multiplayer-only strategy FPS game by EA, being mostly a free version of the popular Battlefield 2. 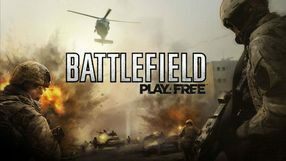 Unlike the cartoonish and more arcade-like Battlefield Heroes (2009), Battlefield Play4Free strives to be more realistic, which makes it similar to the major installments of the franchise. 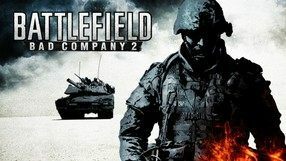 The mechanics of the game are a combination of those of the classic Battlefield 2 (most popular maps) and those of Bad Company 2, released a year before (character classes and weapons). The matches take place in spacious locations, while the gameplay encourages a tactical approach to the game and—as usual in the series— allows you to use various vehicles. A single match can involve up to 32 players, and, just like in most of the games in the franchise, teamwork is crucial in order to succeed. A modified version of the popular game Battlefield 2, created with the Asian market in mind and featuring only the online multiplayer mode. Battlefield Online allows you to participate in group matches between the armies of the U.S. and Russia, each of them coming with its own set of pros and cons, based mostly on the weapons and equipment they use. As usual in the series, you can also use many various vehicles, such as tanks or airplanes. 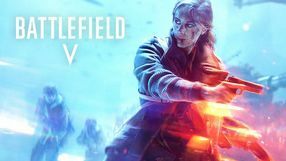 In terms of mechanics, Battlefield Online is not much different from the other games in the franchise, although some new elements have been implemented, thanks to which the gameplay is slightly easier, faster and more arcade-like. The visuals have also been simplified, resulting in smooth performance even on older computers. Just like in the major installments, a single match can involve up to 64 players. An online multiplayer FPS game focused on the co-op aspect, developed by EA DICE, and created only for digital release (and as extra content for the console editions of Battlefield: Bad Company 2). 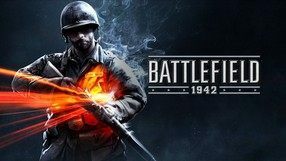 Similarly to the first installment in the cult series, Battlefield 1942, the game takes place during World War Two, although it's focused on the Pacific region only. You can play as a soldier of the US Marine Corps of the Japanese Imperial Navy, and choose on of the three character classes: Infantryman, Rifleman and Scout. The gameplay mechanics of Battlefield 1943 resemble that of the main games in the series and focus on the multiplayer mode. The game features three maps: Wake Island, Guadalcanal and Iwo Jima, and one match can involve up to 24 players. A fourth map called Coral Sea has been made available for Xbox 360 users as a reward for active participation in the game. 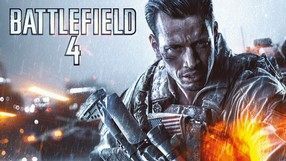 A free-to-play tongue-in-cheek online multiplayer TPS game and a spin-off of the popular Battlefield series, developed by Electronic Arts as a part of their Play 4 Free program. The gameplay is strictly multiplayer-focused, and the matches take place on small maps, made to look like WW2-era locations. You can play as a member of one of two teams: the National Army and the Royal Army, and both groups strive to win through killing their opponents or capturing their flags. The game features many weapons to eliminate your enemies with—from knives to rocket launchers—as well as land vehicles and aircraft. You can also use various boosts and special abilities, which you gain as you level up. The graphics of Battlefield Heroes have a distinct cartoon appearance, which brings to mind Valve's Team Fortress 2. A first-person shooter game created for the users of the Xbox 360 and PlayStation 3 consoles. It is a spin-off of the popular Battlefield series. Battlefield: Bad Company is set in 2014 and the game's plot is centered around a fictional conflict between the United States and the Russian Federation. In the story campaign, the player assumes the role of Private Preston Marlowe, who gets assigned to "B" Company of the 222nd U.S Army battalion. The squad, consisting of soldiers notorious for behavior considered inadequate for military service, gets assigned with missions nobody else is willing to take. Apart from the singleplayer mode, the game offers fully functional multiplayer component. The latter allows for online battles involving up to 24 players. Another installment in the popular multiplayer FPS game series, developed since 2002 by Digital Illusions and EA. Following the historical themes and the fictional conflict from Battlefield 2, this time the game takes place in the future—in the year 2142, to be exact, after a devastating nuclear disaster, which resulted in a new ice age. There's a new conflict involving two powerful factions: the joint European-American forces and the Russian-Arabic-Indian coalition. Like in the previous installments of the franchise, there are several soldier classes to choose as your player character, and you can use a wide range of futuristic vehicles and weapons, bringing to mind sci-fi movies. 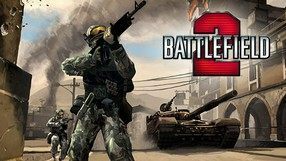 As usual when it comes to this series, Battlefield 2124 focuses mainly on the multiplayer mode, for up to 64 players at the same time, although the game also feature a singleplayer mode, in which you fight against AI-controlled enemies. A console edition of Battlefield 2, the second installment in the multiplayer FPS game series by Swedish studio DICE. As implied by the subtitle of the game, this time you play as a new-generation soldier, equipped with state-of-the-art technology and deadly weaponry. The plot of Battlefield 2: Modern Combat focuses on a fictional conflict between NATO and China, taking place in Kazakhstan. An important feature of the first installment of the franchise for consoles is the presence of a singleplayer campaign. Other elements of the series have remained unchanged, and the gameplay is focused mostly on multiplayer matches, during which you play as a soldier of your chosen class, using a wide array of weapons and about 30 military vehicles. Depending on your platform, a single match can involve up to 24 players. A sequel to the 2002 online multiplayer FPS game developed by DICE. As its title suggests, Battlefield Vietnam takes place during the Vietnam War, allowing you to play as a member of the U.S. Army or a Vietnamese soldier, and participate in the series of battles spanning from 1964 to 1975. The mechanics of the game are virtually the same as its predecessor's, being a combination of strategy with FPS elements. The players are divided into two teams, and the objective of each is reducing the opposite teams' tickets to zero by killing the opponents or capturing their flags. Just like in Battlefield 1942, you can play as a soldier of your chosen class and use various military vehicles. Singleplayer fans can also test their mettle against AI-controlled foes. Set in WWII realities, an multiplayer-focused FPS by Swedish studio DICE – though it includes a single player mode with bots as well. In Battlefield 1942 you take control of soldiers from one of the five countries fighting in the war. The character you control can assume one of five classes – Scout, Assault, Anti-Tank, Medic, and Engineer. The game offers 35 vehicles – starting with armored vehicles and tanks, through fighters and bombers, ending with different kinds of warships. The action takes place on 16 extensive maps modeled after real WWII battlefields. During gameplay you will visit the European, African, and Pacific theaters. Players are divided into two teams and try to hold control points – the key to success is cooperation.